Merchant Banking - Tricap Partners & Co.
Tricap Partners & Co. is a merchant banking firm that focuses on early-stage and middle-market growth companies. The firm advises companies that present considerable growth potential and that seek additional capital and/or strategic acquisitions to expand and consolidate their market position. Tricap Partners & Co. believes that it has a unique competitive advantage in its target market which is not typically addressed by larger investment banks. We have found that larger, Wall Street firms rarely allocate the adequate resources to early-stage and middle-market companies. With significant consolidation in the investment banking industry, few firms provide adequate coverage for early-stage and middle-market growth companies. For us, growth companies are our focus. We are independent, unencumbered by the potential conflicts of interest inherent in bulge bracket firms and universal banks. We are never in a position where our clients’ best interests are in conflict with our own. We serve as trusted senior advisors, providing corporate advisory and alternative investments, always recommending ideas and strategies that we would pursue ourselves. Above all, the strength of Tricap Partners & Co. is in its people. We bring an optimal balance between operational and financial expertise, providing our client companies the necessary resources to reach its long-term objectives. In addition, our professionals have a long history and a strong reputation in the financial community for their intelligence, integrity and trust, the cornerstone of our firm. Tricap Partners & Co. focuses on early-stage and middle-market growth companies. We recognize that this is a market niche that can often be challenging, but it is a niche that we know and one in which we have been successful. We have experience as well as established relationships within this niche. Tricap Partners & Co. helps clients to identify and pursue strategic alternatives, devise strategies to enhance shareholder value, and raise capital to meet growth objectives. Our objective is to provide management with not only the financial but any other resources required to develop its objectives. We advise management on the often difficult transition from business conception to implementation, addressing the challenges of organizational development, market positioning, competitive analysis and financial development. We develop long-term relationships with clients to focus not on a single transaction but on the client company’s overall strategic direction. 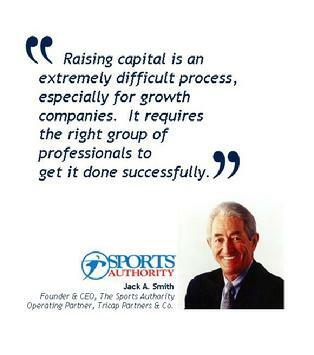 Tricap Partners & Co. can be a private source of capital that combines operating resources, strategic insight, and financial judgment and perspective. The firm’s professionals understand the issues and concerns facing the management teams of early-stage and middle-market growth companies, and each transaction is structured to accommodate not just the capital needs of the company but the growth opportunities and the interests of management. Our experience and network of business contacts enhances a company’s access not only to capital, but to a network of world class management executives and entrepreneurs that have been integral in the successful development of companies and industries. Companies that present considerable top-line growth potential through additional capital investment, strategic acquisitions and/or entry into new geographic markets. Our merchant banking business provides confidential, strategic and tactical advice to early-stage and middle-market growth companies. By virtue of their size and stage of development, many of our clients are likely to require expertise not in a single transaction, but numerous transactions that can be part of a company’s overall strategic direction. We work as a partner with strong management teams that have a significant personal investment in the company and a clear business strategy. Our approach is to work as a trusted senior advisor to top corporate officers and boards of directors, helping them devise strategies for enhancing shareholder value. We believe this relationship-based approach to our advisory business gives us a competitive advantage in serving a distinct need in the market today. Our approach is driven by the long-term strategic objectives of our clients. Our professionals have worked at major investment banks across Wall Street, where we have seen that the best interests of the client are often secondary to the best interests of the investment bankers. Our reputation is built on providing our clients with knowledgeable advice. Free from product, research or client conflicts, our interests are fully aligned with those of our clients. Tricap Partners & Co. will structure transactions with the objective to maximize returns to its client companies, its shareholders and its employees. Objective Advice with a Long-Term Perspective. We seek to recommend shareholder value enhancement strategies or other financial strategies that focus on the long-term success of our client companies. Transaction Execution & Results. We have advised on more than $100 billion of announced transactions, including private equity investments, acquisitions, sale processes, mergers, recapitalizations and restructurings. Senior-Level Attention & Experience. We bring senior-level attention to all facets of a transaction, from the initial evaluation phase to the final stage of executing our recommendations. Independence & Confidentiality. We do not underwrite securities, publish securities research, or act as a lender. This enables us to avoid the potential conflicts that may arise from these activities at larger, more diversified competitors. Aligned Interests. As a merchant bank, our interests are aligned with our client companies. We commit our own capital and bring third-party capital to our transactions, so we don’t do well unless our clients do well. To us, that’s simply common sense. We serve as an independent, objective advisor in financing situations, with expertise across the entire spectrum of capital structure decisions, including private placements of debt or equity. 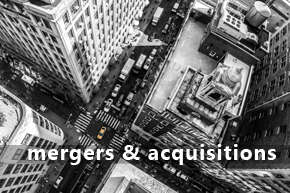 We advise client companies on the acquisition of a company or set of assets, we evaluate potential acquisition targets, provide valuation analyses, and evaluate and propose financial and strategic alternatives. We also advise as to the timing, structure, financing, and pricing of a proposed acquisition, and assist in negotiating and closing the transaction on behalf of our client. 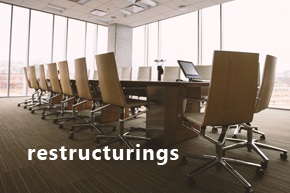 We advise in complex processes among a wide range of stakeholders, negotiating debt and equity restructurings –- including raising distressed debt — and implementing amendments, exchange offers, financing and bankruptcy restructurings.